What can you say about a program that gives you exciting opportunities, new friendships and workplace skills—other than that it is amazing? 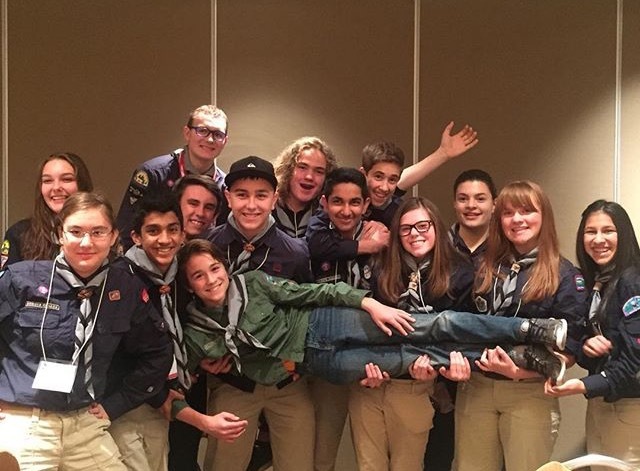 Simply put, that is what Scouts Canada’s Youth Spokesperson Program (YSP) has been for me. It is amazing. My journey with the YSP Program began in 2015 when I attended the 23rd World Scout Jamboree in Japan. We were all relaxing in our camp area when a contingent leader came to us looking for a volunteer to do an impromptu video describing ‘A Day at a Canadian Campsite’. I volunteered to be filmed walking around our campsite describing things and people. After the video was complete, the contingent member recommended that I apply for the YSP Program. I am so incredibly happy that I chose to join the program because it has honestly been life changing. Scouting is a huge part of my life and has been for a long time, so being able to represent Scouts Canada and share all the remarkable programs and values found within Scouting has been an honour and so much fun. 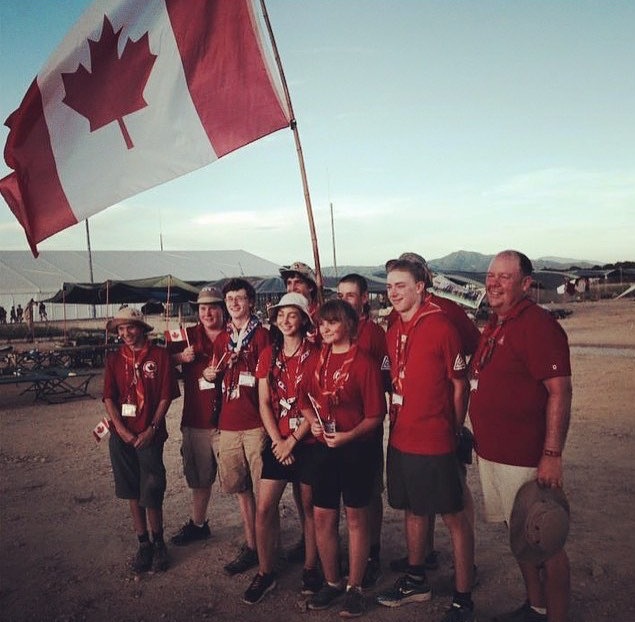 One of Scout Canada’s main values is youth leadership—Scouting programs made for youth, by youth. The YSP Program is a perfect example of this. As a YSP I can make my ideas a reality by collaborating with other youth and taking on leadership roles in different activities. For example, during Good Turn Week (GTW) teams of Scouting youth created, planned and implemented ideas that helped their communities, all while being supported by a fantastic team. It is through events like GTW that the YSP Program has given me real work experience and skills that will aid me in whatever future I choose. I have been able to improve my communication skills through article-writing and participating in interviews and increased my collaboration skills by working with youth from across the country. Through article-writing specifically, not only do I now have published pieces for my portfolio, but my writing has also greatly improved due to the help of editors and the ways in which the program made me utilize my writing skills more frequently. The YSP Program has also been amazing for helping me realize my passions and talents. Through the program I was able to discover my love of interviews and journalism, which helped point me into a potential career as a journalist. Without my position as a YSP, I would not have had nearly as many opportunities as I have. Through the program I was able to travel to Montreal for an orientation training. It was there that I was able to gain professional skills, meet like-minded youth from across the country and make lasting friendships. I have also been able to speak on a radio show, have a televised interview with CP24, write pieces for the Nature Conservancy of Canada and lead workshops to help other kids learn the skills I did. I am so incredibly grateful for all that this program has allowed me to do. It has given me opportunity after opportunity, helped me gain experience, gave me new skills and friends—all while being flexible with my schedule, schooling and interests. Being a YSP has been a huge responsibility that has given me work experience that I can use in the future, while also being fun. I have loved every second of my time as a YSP and I’m so excited to see what new adventures come my way as a result of this amazing program.